The first section of Taken by Erin Bowman is a lucid dream. We are introduced to Grey Blackstone, a male resident of a village where men do not live past 18 because they are abducted by the Heist. What is the Heist? Spoilers, dear friend. Spoilers. Basically, think of M. Night Shymalan’s The Village, on a grander, more dystopic scale. And yes, there is a sequence that involves going over a wall and seeing a car for the first time. While much of the YA dystopia field in the last few years has been dominated by female protagonists, Taken features a young man who is embattled by not being as calm or process-oriented as his brother. This is seen almost as a fault by those around him, but becomes his saving grace. We see his emotional struggle through realizing there is a world beyond his own and understanding what that means. Time moves quickly in this novel, and so does the plot. At some points, it seems inorganic, paragraphs flowing through months at a time, but when Bowman slows us down to the pace of the characters reality we easily catch back up. The romantic subplots carefully weave – Grey feels a sense of responsibility to one romance, and a burning desire for another. The book seems to end at a reasonable place that almost closes in a near-perfect, organic ending. Yet the last few pages carefully set up another adventure that will surely be explored in the forthcoming sequel, Frozen, out April 2014. 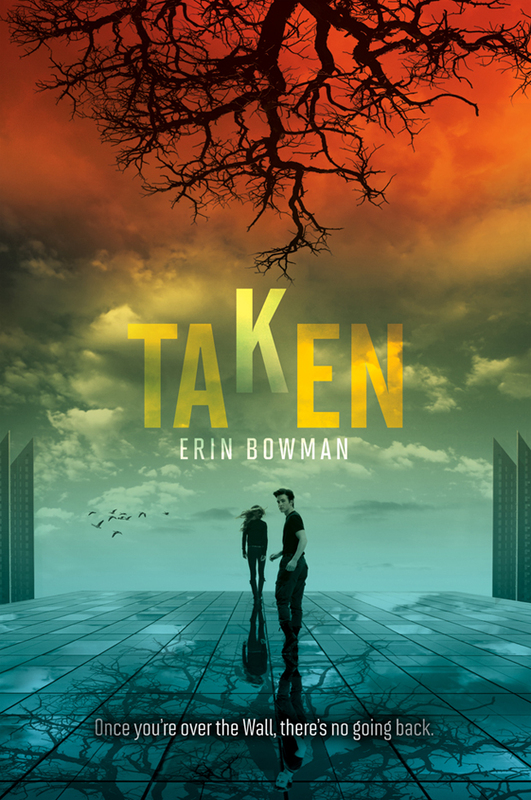 Taken by Erin Bowman (ISBN: 978-0062117267) is published by HarperTeen and should be available at your local bookstore or library. This entry was posted on September 23, 2013 by Nathanial in Uncategorized.